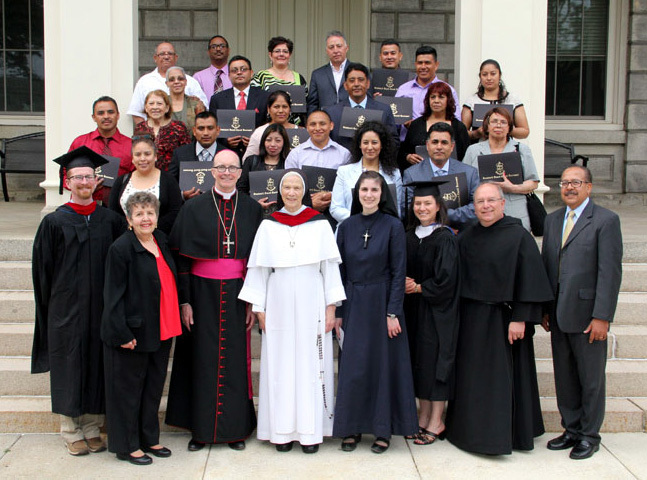 Graduates of the Church Ministry Institute pose for a photo after the commencement ceremony May 18 at St. Charles Borromeo Seminary, with seminary rector Bishop Timothy Senior (center left). 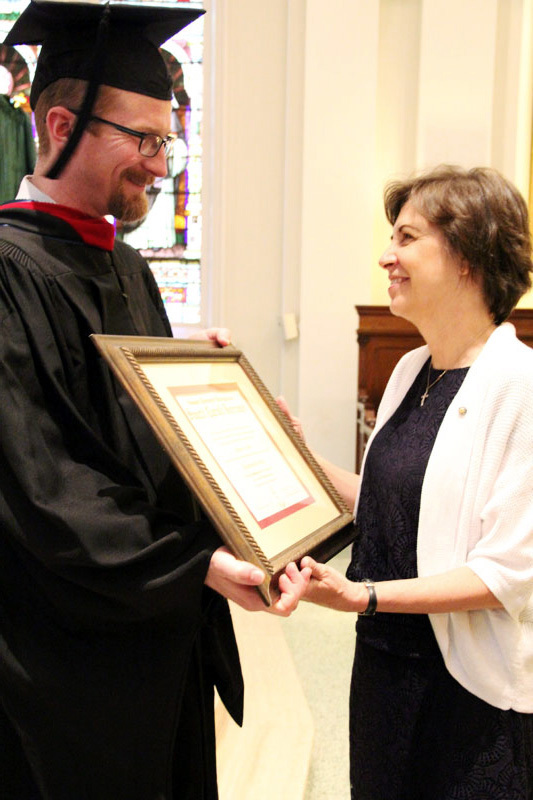 Jared Haselbarth, director of the School of Theological Studies, presents the posthumous graduate degree in theology to Paula Miola for her husband Steven R. Miola, who died recently. 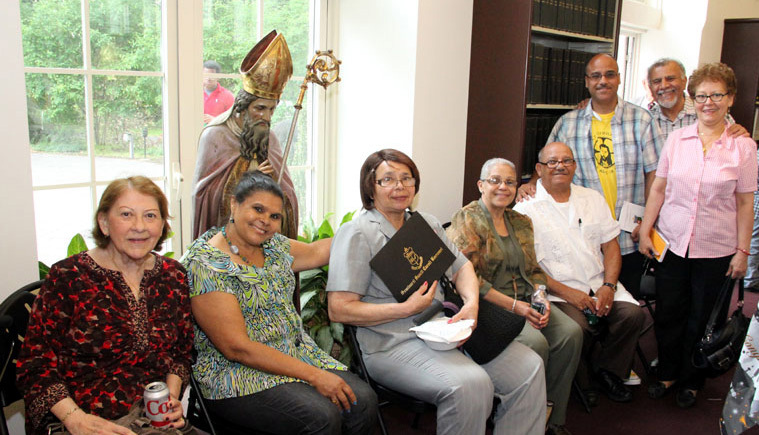 Graduates of the Church Ministry Institute celebrate with family and friends after graduation. 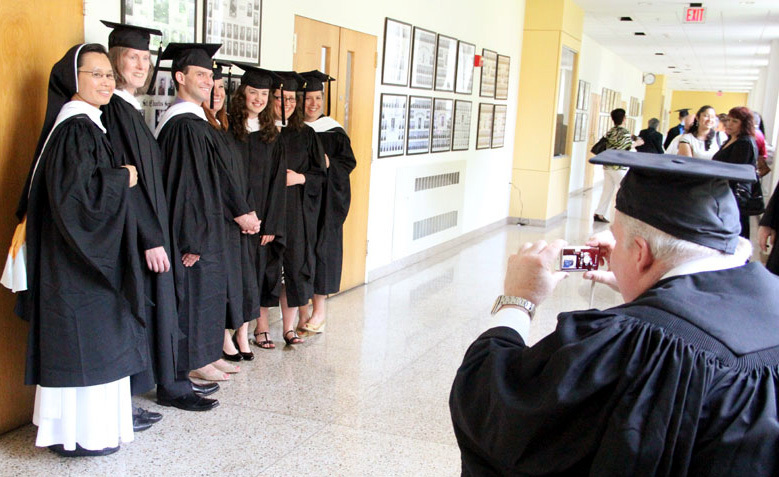 Graduates pose for a quick picture before walking up the aisle in Immaculate Conception Chapel. 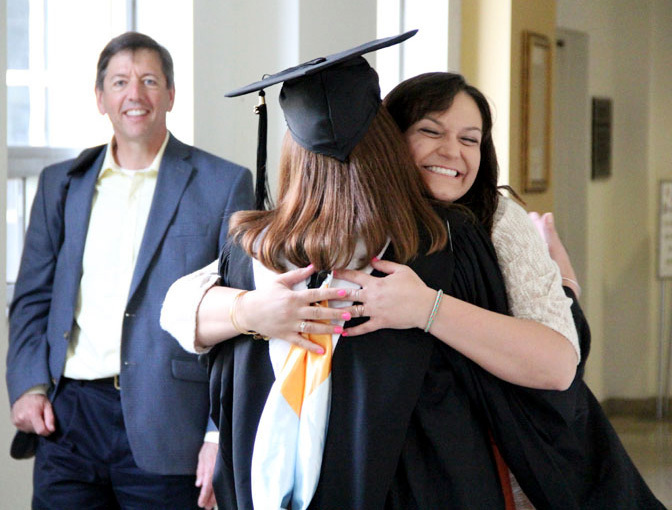 Graduate Judy Magee gets hugs of congratulations from family members. 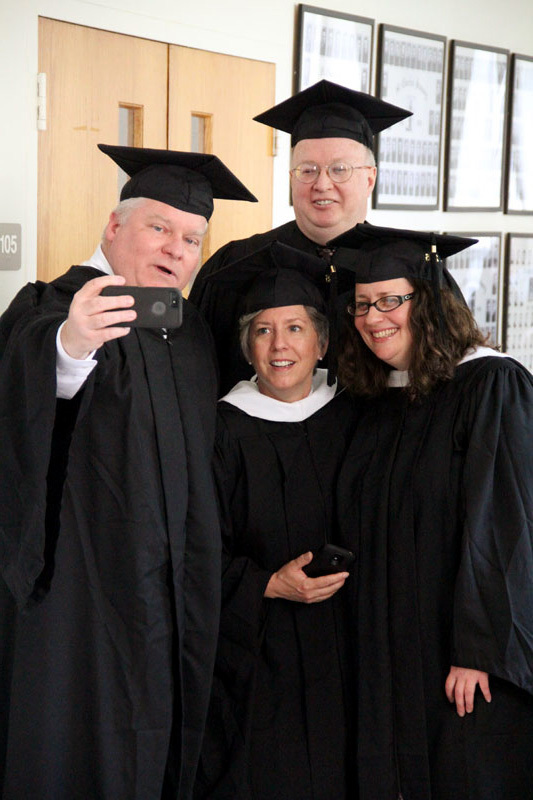 Thomas Gilmartin takes a selfie photo with Christine Rizzo, Jacob Marquart and Deborah Smaldore. Dominican Sister Theresa Josephine Thien-An Do figures out how to wear her cap over her veil. 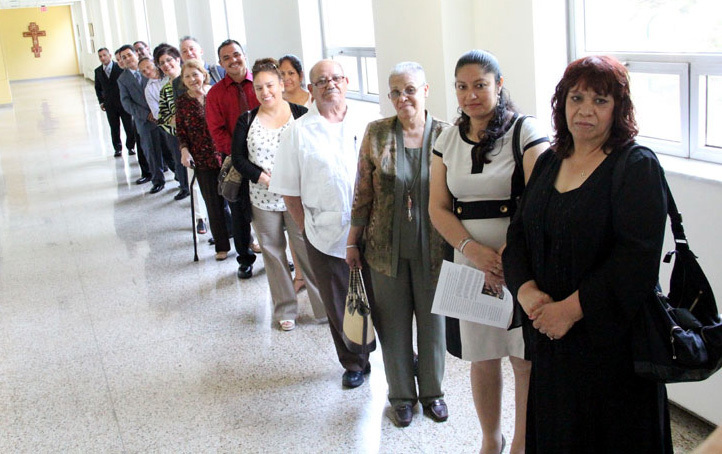 CMI graduates line up and are ready to receive their certificates. Judy Magee, right, talks with fellow graduate Deborah Smaldore. 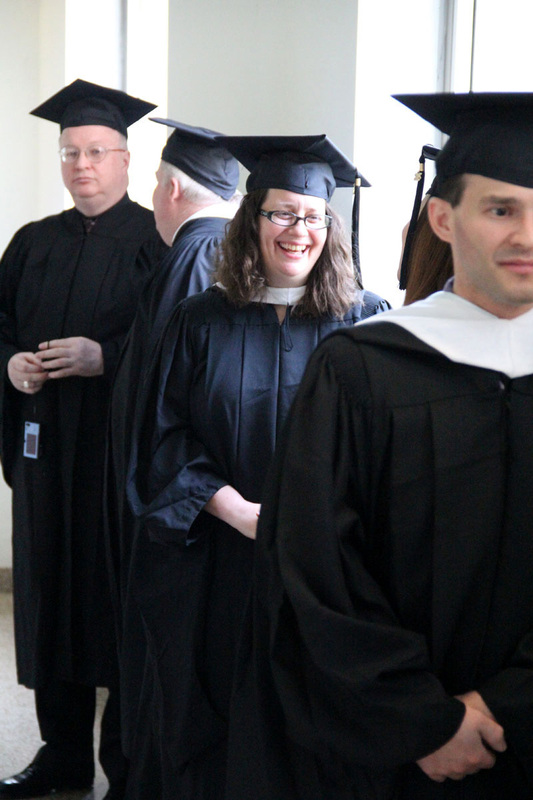 Deborah Smaldore prepares for the commencement ceremony to begin. 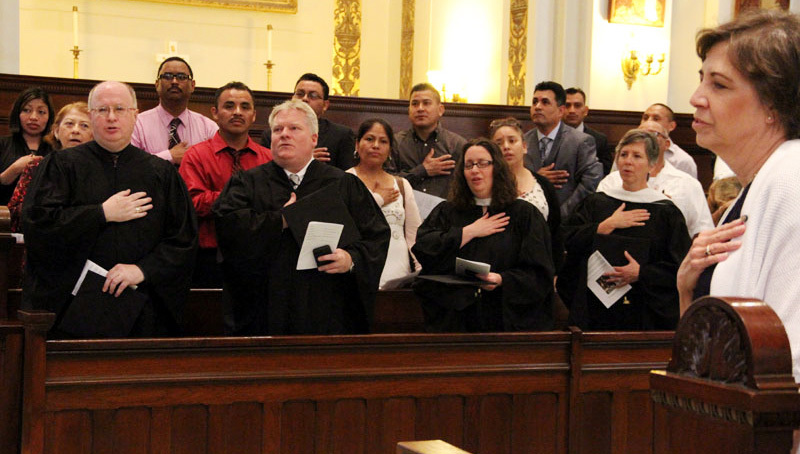 Graduates and guests recite the Pledge of Allegiance. 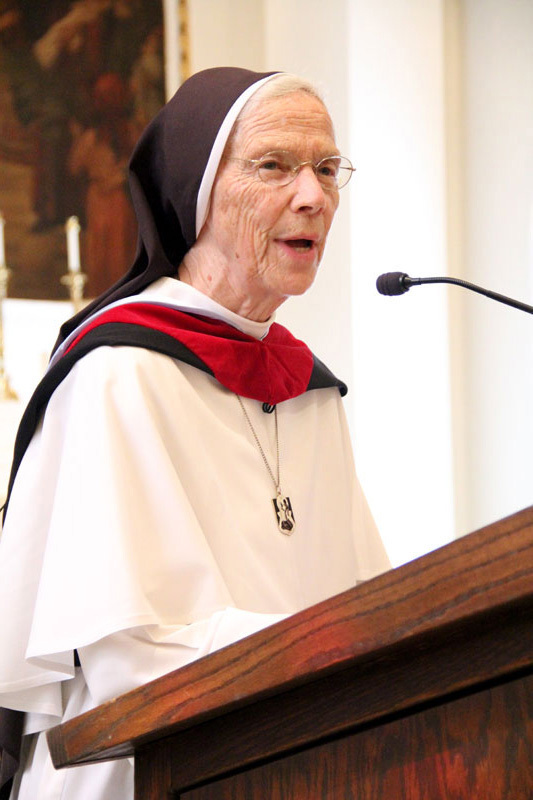 Guest speaker Mother Assumpta Long, O.P. Mother Assumpta Long addresses the graduates, guests, and seminary officials. 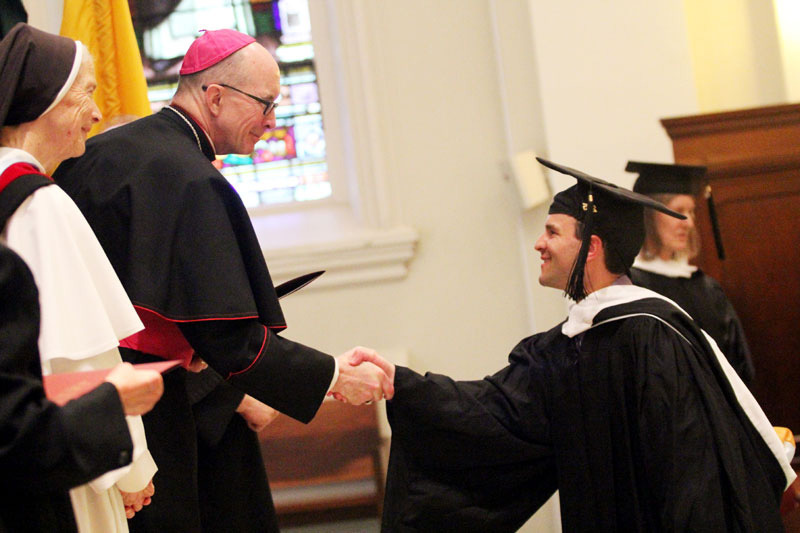 Brian Jefferes (right) shakes Bishop Timothy Senior’s hand as he receives his Master of Arts degree while Mother Assumpta Long looks on. 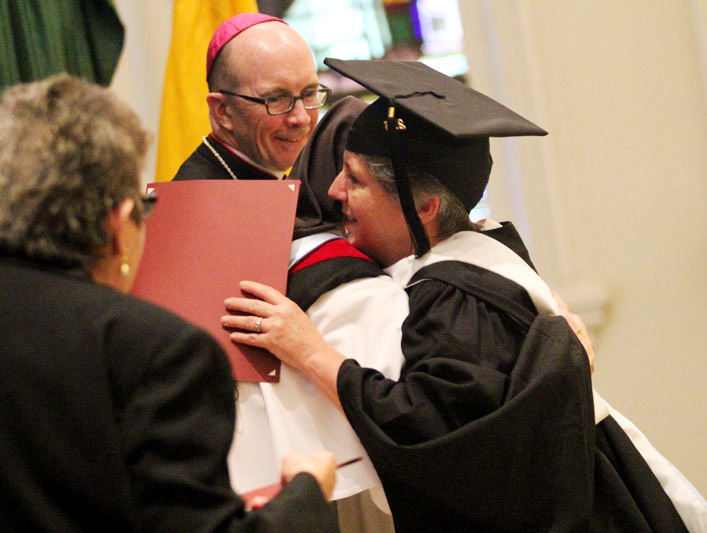 Christine Rizzo can’t resist hugging Mother Assumpta Long after she receives her Master of Arts degree. 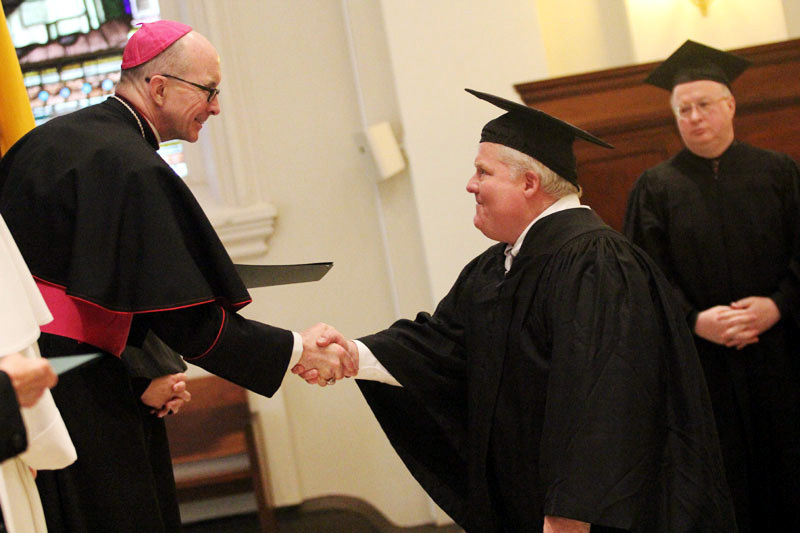 Thomas Joseph Gilmartin (center) shakes the bishop’s hand after receives his Roman Catechetical Diploma, as Jacob A. Marquart III looks on.